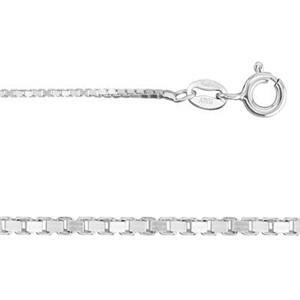 Venetian box chain and Korean style popcorn chains in finished necklace lengths. 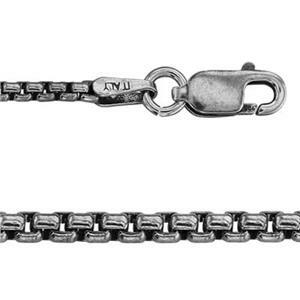 Most of these chains are Italian made. Folded box styles have a large surface are relative to the diameter of the chain. You get a lot of "look" for your money. 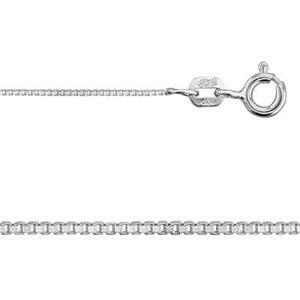 These are bright, sparkly and absolutely beautiful jewelry chains. Frequently purchased with items from our extensive line of wholesale charms.